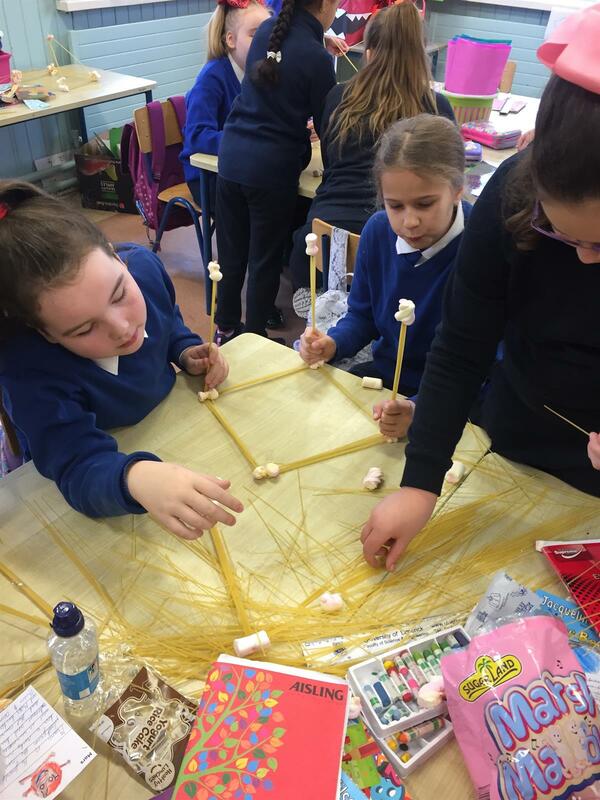 Engineering week - fourth class. 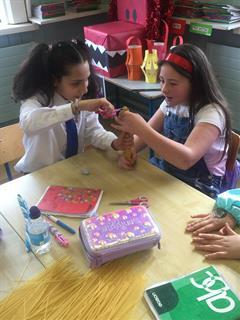 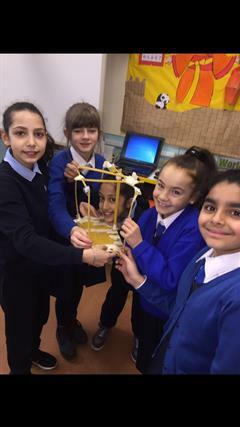 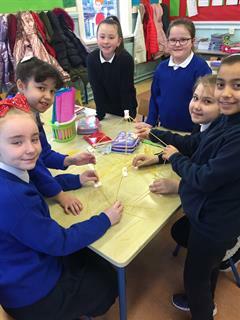 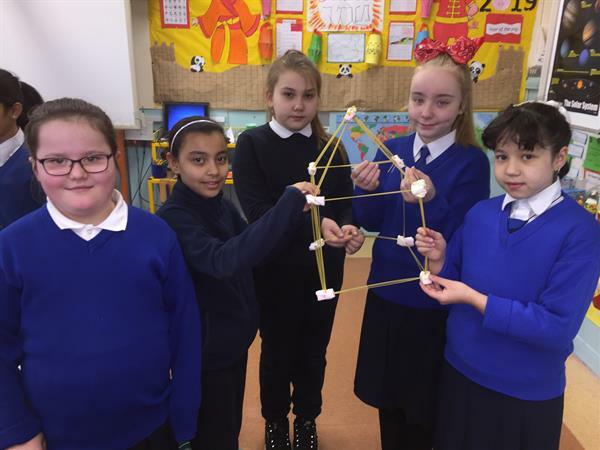 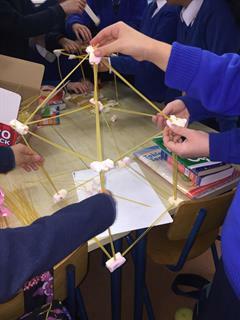 Fourth class were busy building houses and bridges to celebrate engineering week. This week was a very busy week in 4th class. 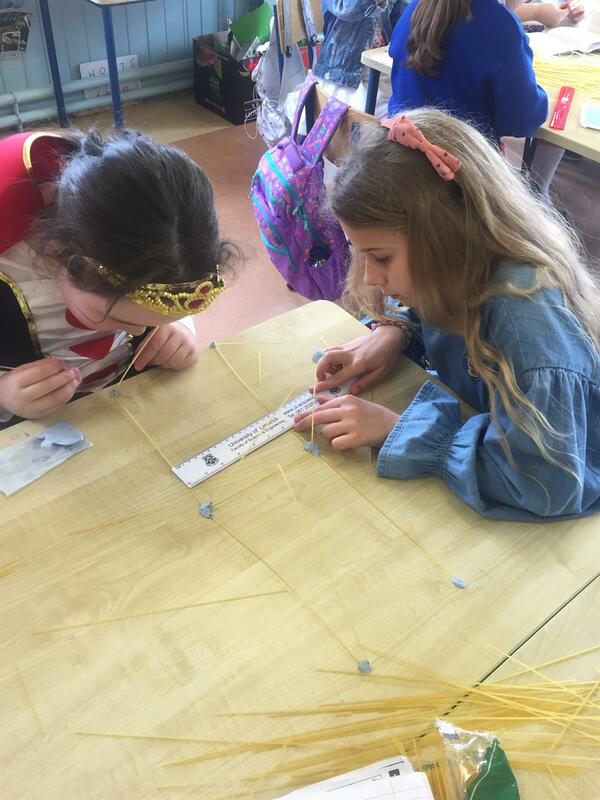 We celebrated World book day by dressing up as our favourite characters and taking a trip to St Kevin’s library and we even got our very own library cards thanks to the kind librarians. 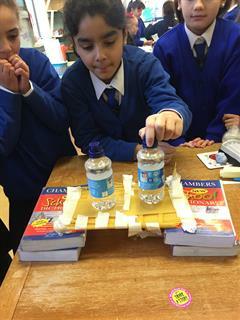 We also celebrated Engineering week by becoming engineers for the day, it was great fun and involved lots of team work. We made bridges using spaghetti, tape and blu tack. 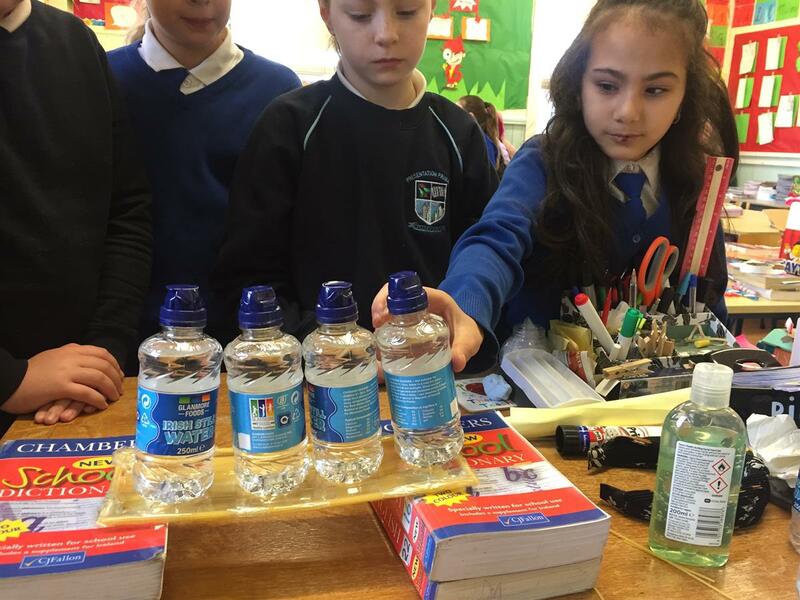 We are learning about capacity this week in maths so our main aim was to see how many ml’s and litres our bridges could hold. 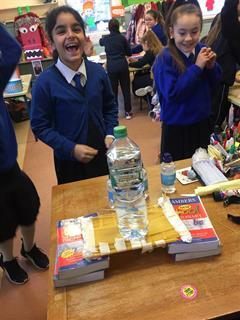 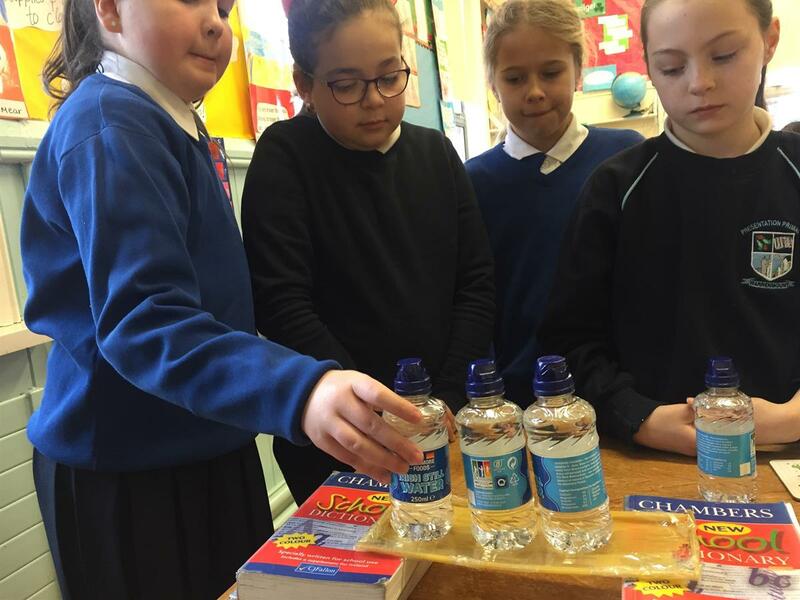 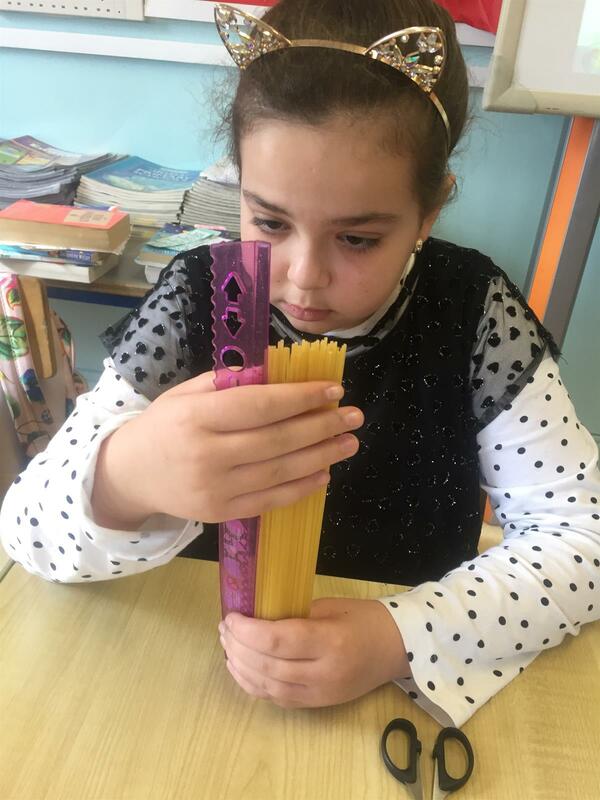 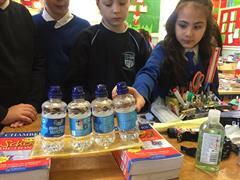 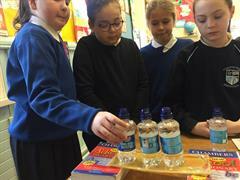 See the pictures to see how strong our bridges were – one of them could hold 1.5L of water and the other bridge could hold 250ml, 500ml, 750ml and 1 full litre. 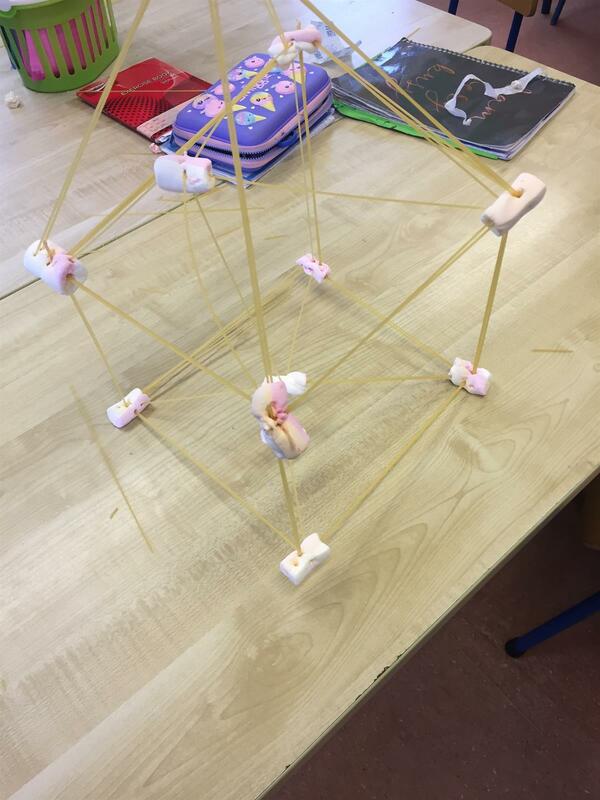 Another group made houses using spaghetti and marshmellows. 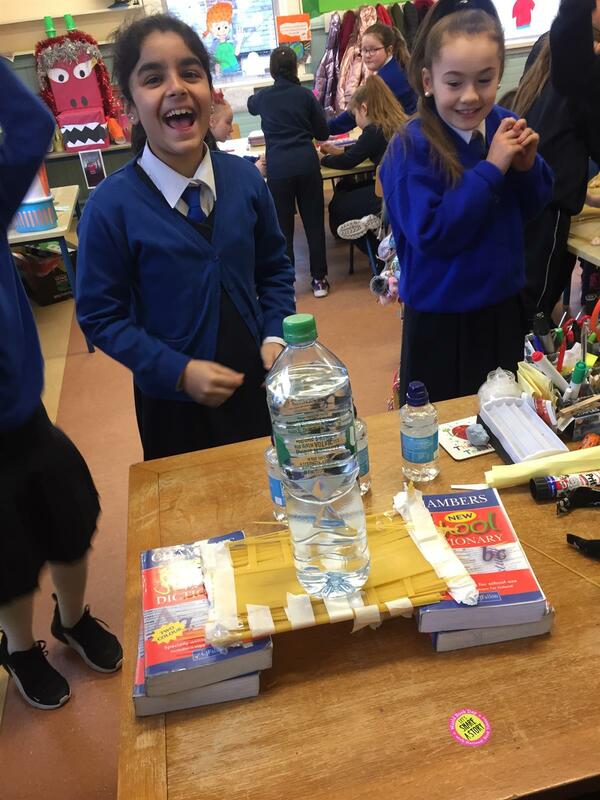 This was fun trying to figure out ways of getting it to stand – there was a lot of trial and error and the construction of extra walls for more support. 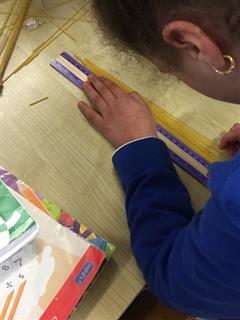 We measured the length of the walls with our rulers to make sure they were equal in length to help it stand better. 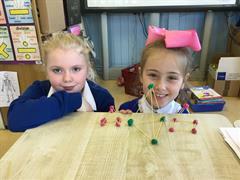 Here are some pictures of us being excellent engineers! !